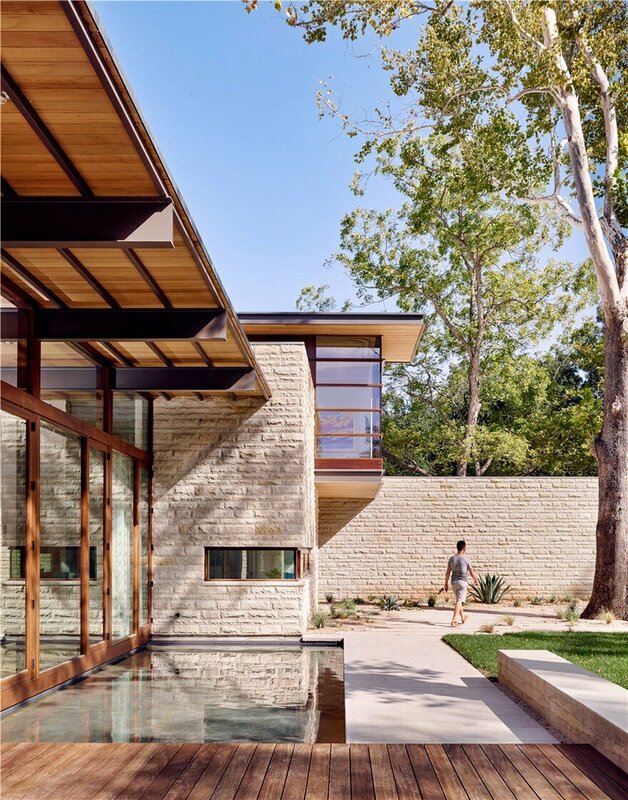 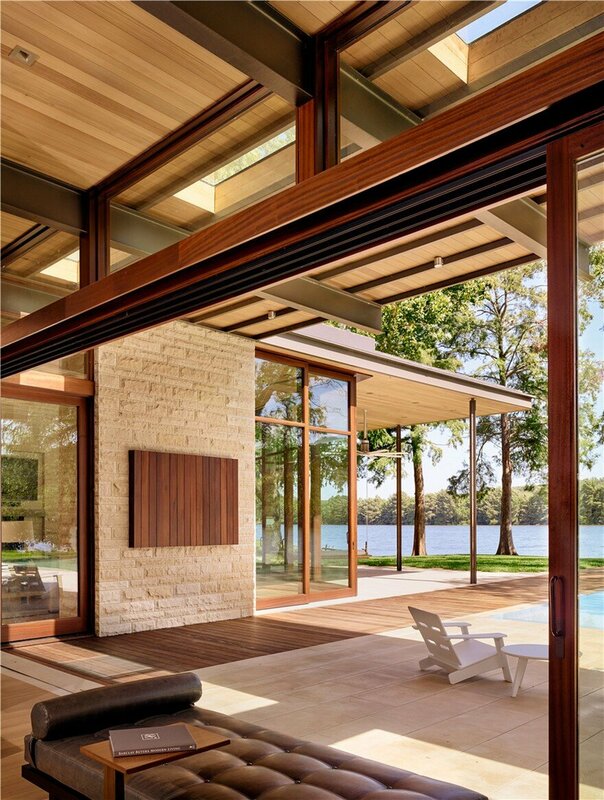 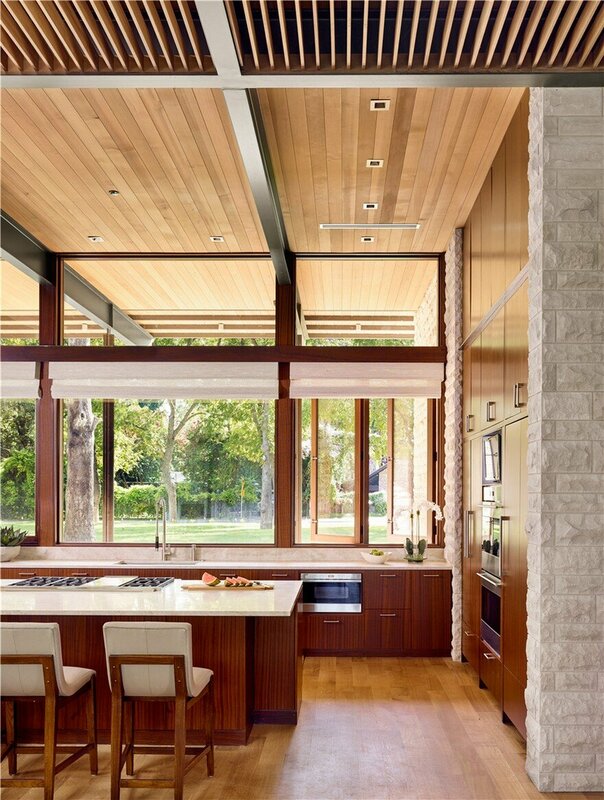 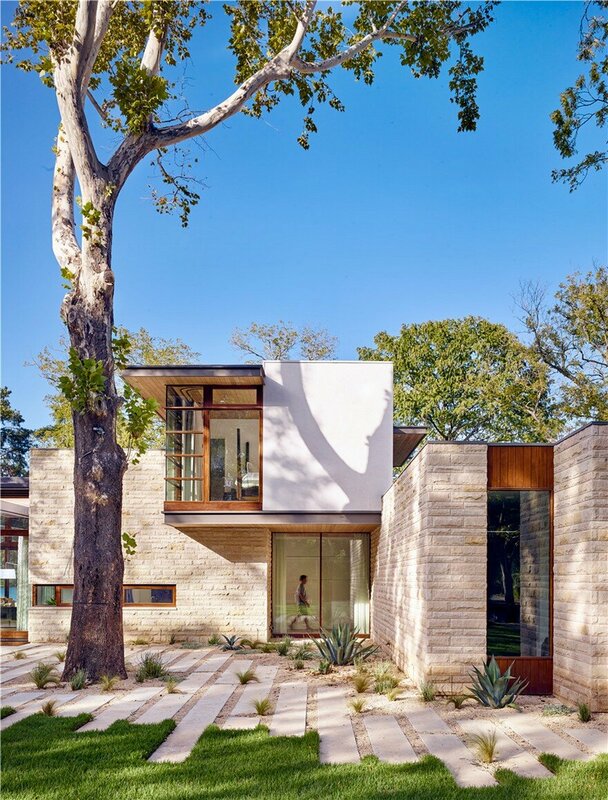 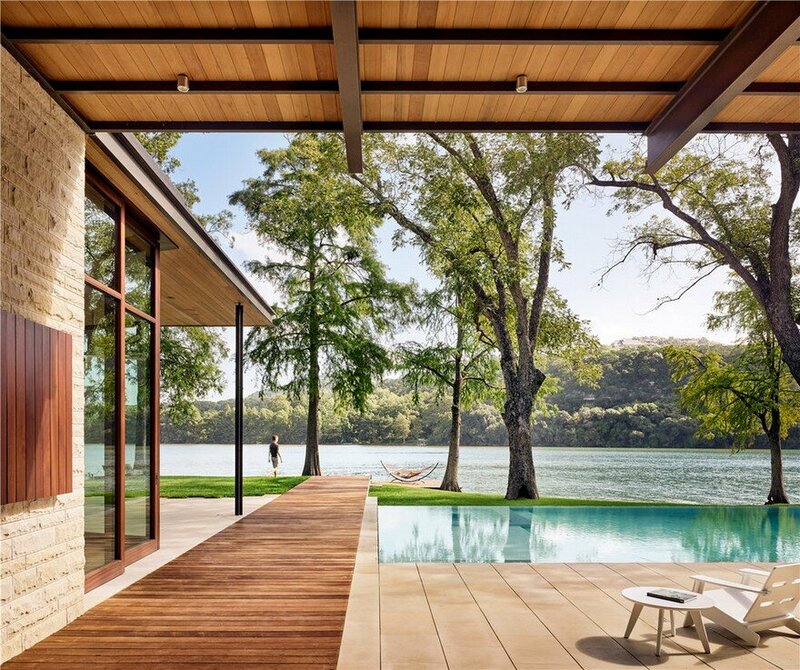 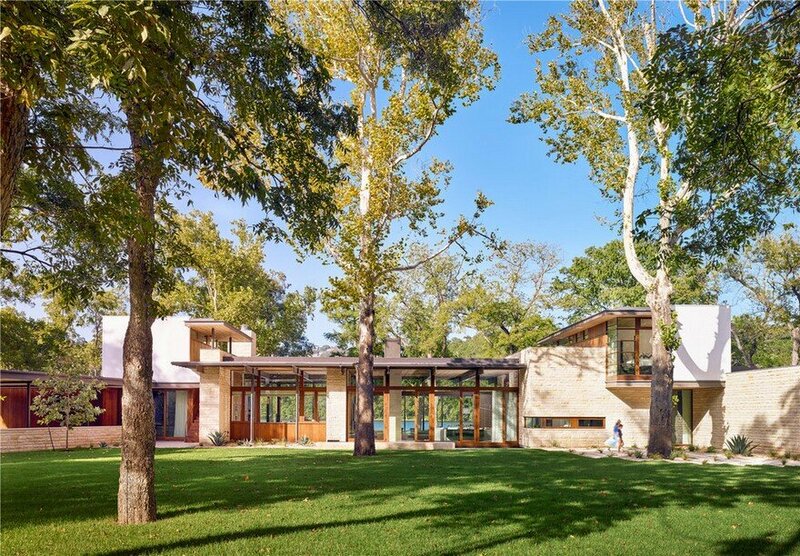 Like a butterfly specimen pinned to its mounting, this sinuous lake-front home’s light floating roofs are anchored to its site by heavy rusticated limestone masses, while its horizontal footprint is spread out and sewn through the vertical punctuation of mature sycamore, cypress and pecan trees. 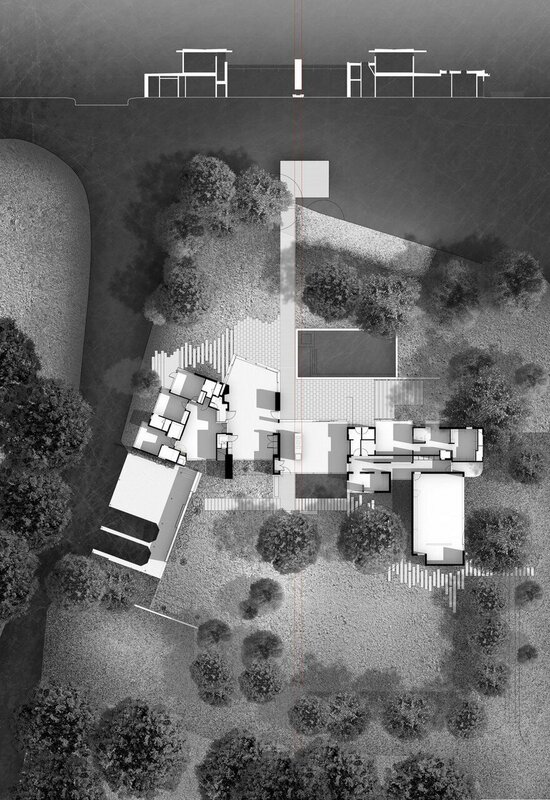 The resulting form reflects the organic character of its site, and offers a combination of transparency and solidity, incrementally tuned to capitalize on its relationship to the scenic, but recreationally active lake front. 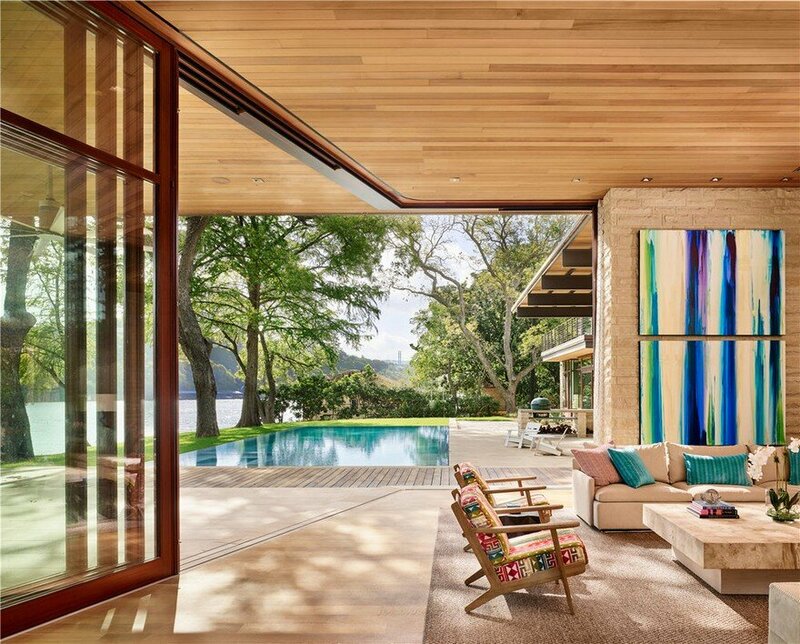 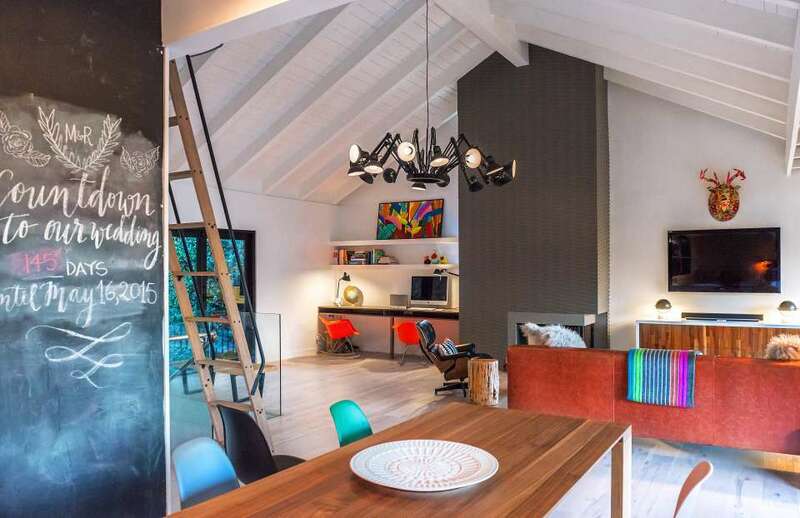 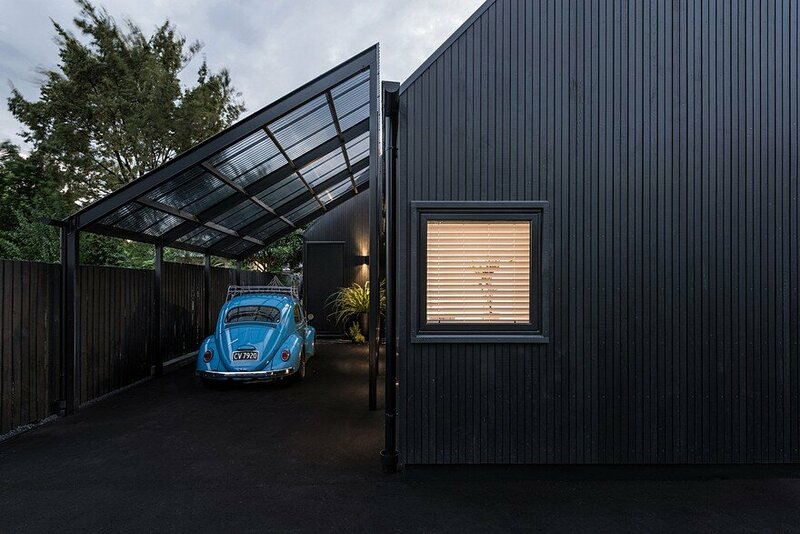 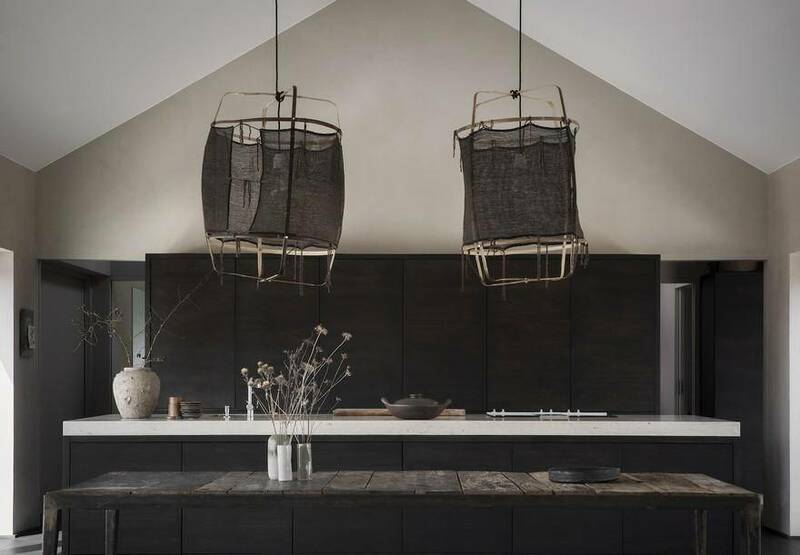 At the glassy center of the home, the structural system is exposed to reveal a rhythmic steel vertebrate that organizes the primary public spaces and provides definition and scale to the spacious rooms. 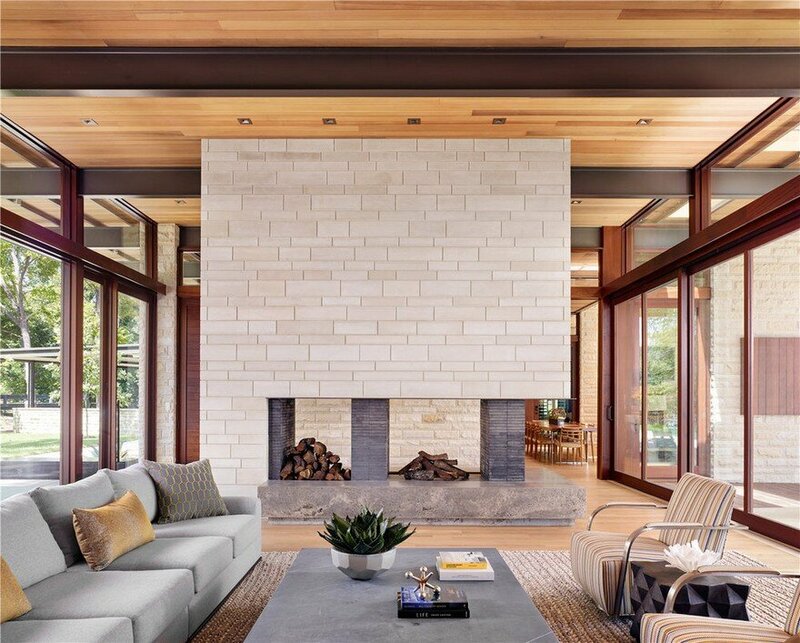 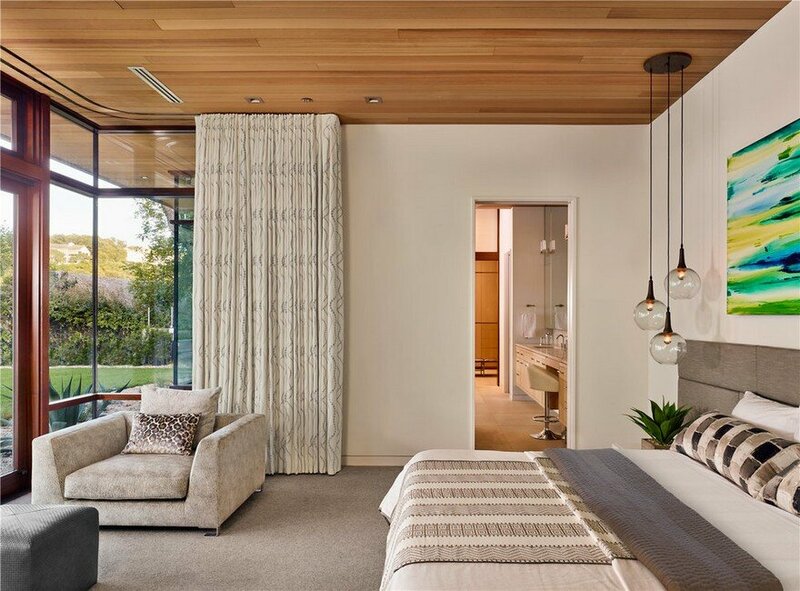 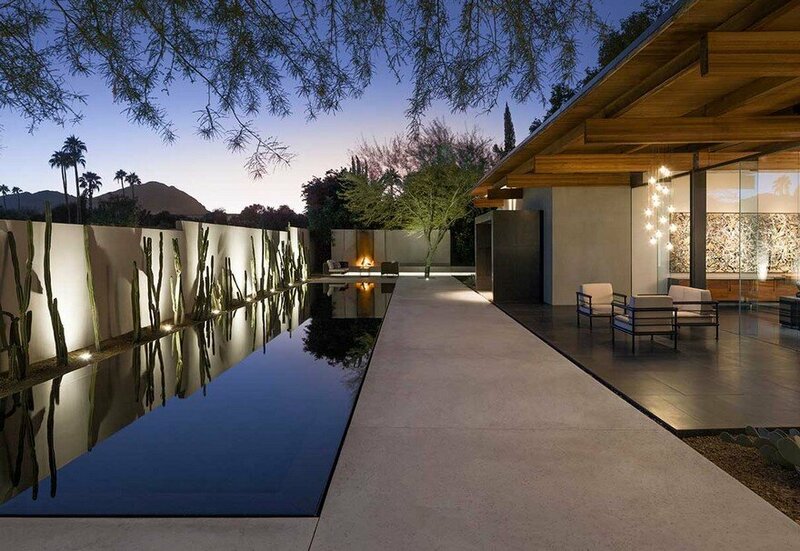 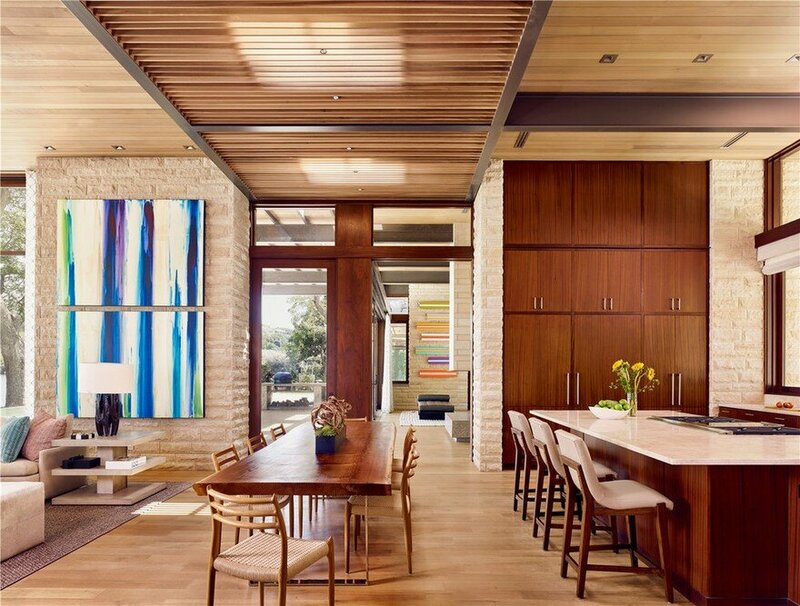 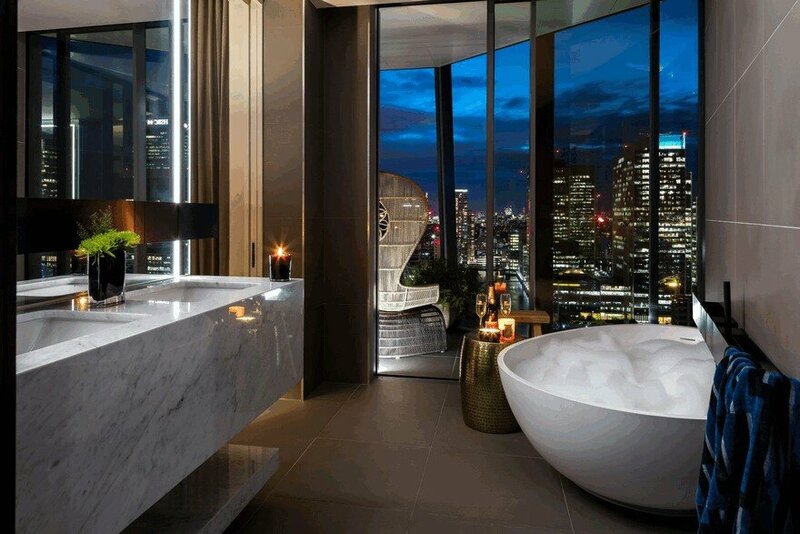 A warm interior palette of oak, mahogany and cedar serve as a soft counterpoint to the glass and stone, exuding a relaxed livability paramount to the homeowner. 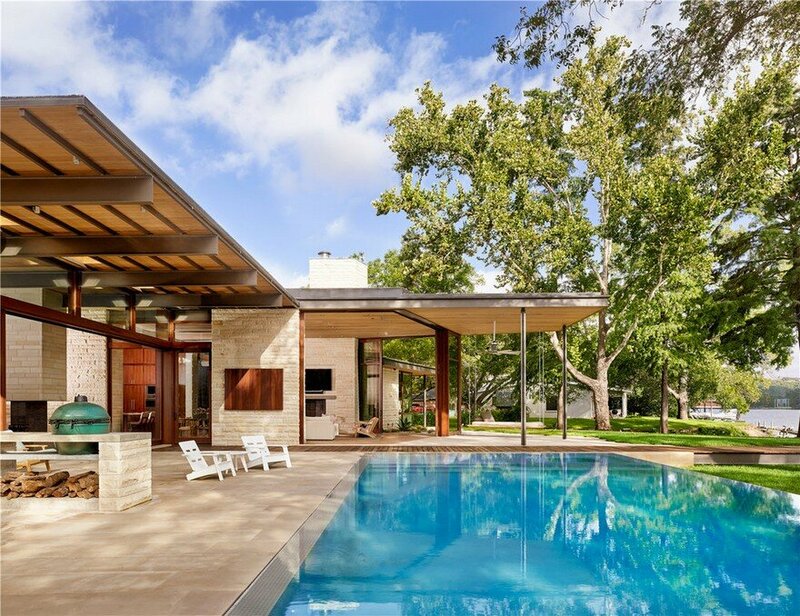 The landscape is carefully understated while accommodating many amenities, including a large boat dock, fishing pier, sandy beach, and onsite services such as geothermal climate control, waste treatment and water collection.